1. 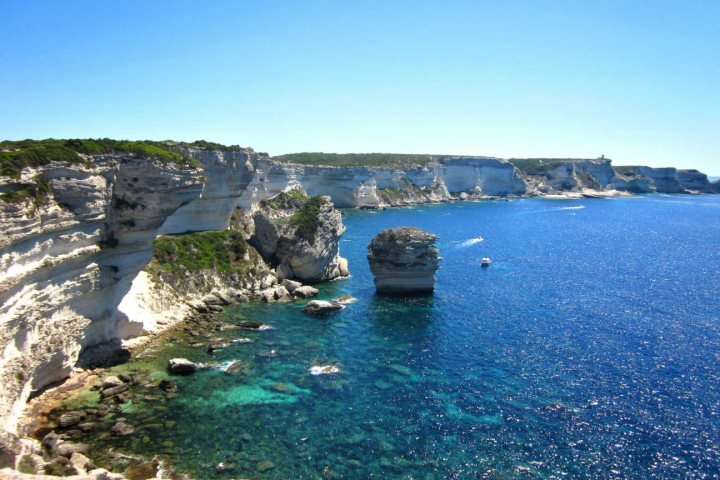 Wander the sheltered harbourside of Bonifacio Port, and take a trip from the port to the nearby 'grottes et falaises' (caves and cliffs), or to the Iles de Lavezzis, providing the opportunity to view the magnificent coastal rock formations from the sea. 2. 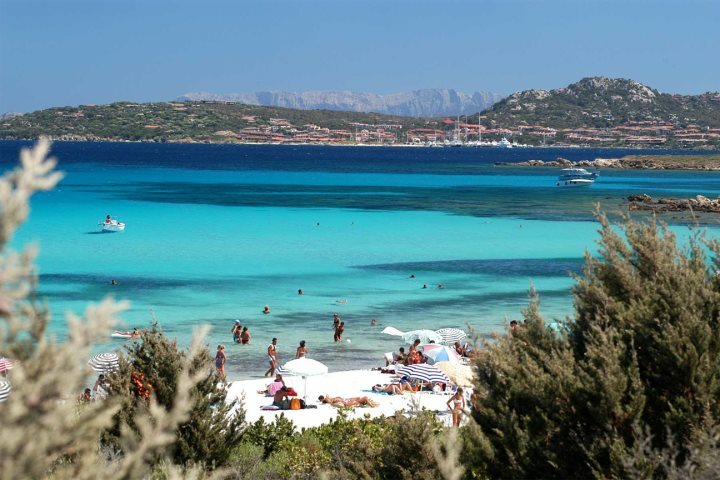 Why not take a trip to Sardinia for the day? You can hop on the ferry which only takes an hour. 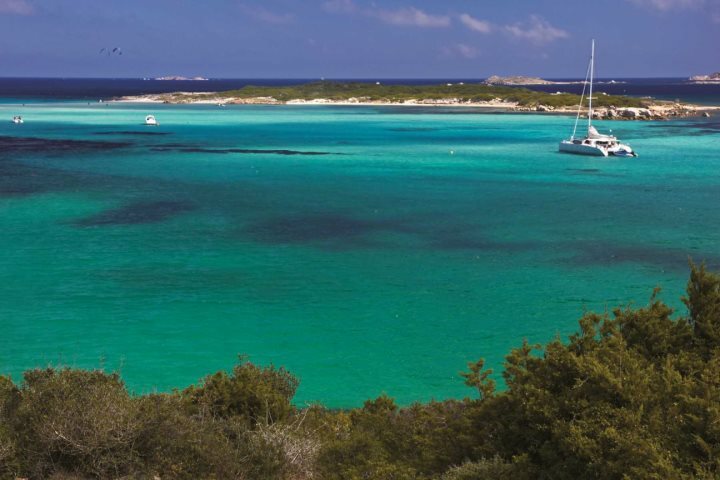 You could explore the wonderful market at Santa Teresa Gallura on a Thursday, or explore some of the beautiful beaches in the area. 3. 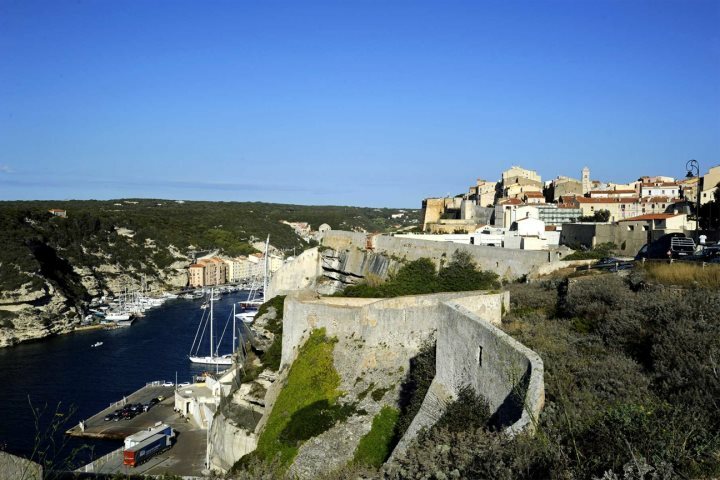 Explore the citadel walls and ancient houses of Bonifacio's old town, with its interesting churches, narrow streets full of shops and cafés and fabulous views from the ramparts. See the grain de sable, a massive outcrop of limestone cliff that's fallen into the sea, which is the subject of thousands of postcards. You can see this by looking over the wall at the top of the hill in the old town. 4. Witness superb views from the clifftop walk. Steps from the old town lead down to a tiny beach from where you can start the walk and visit the marine cemetery at the end. It's a popular pastime as it's full of extraordinarily elaborate mausoleums. 5. Walk along the cliffs of Bonifacio to the Pertusato lighthouse, and admire the stunning views back towards the town and out over the Straits towards Sardinia. 6. Try a round of golf at the magnificent Sperone Golf Course. The 16th hole has a nautical challenge not to be missed and is surely a test for the best, but if you're looking for something a little more relaxing, why not catch some sun on Petit Spérone Beach (just after the 13th hole). 7. 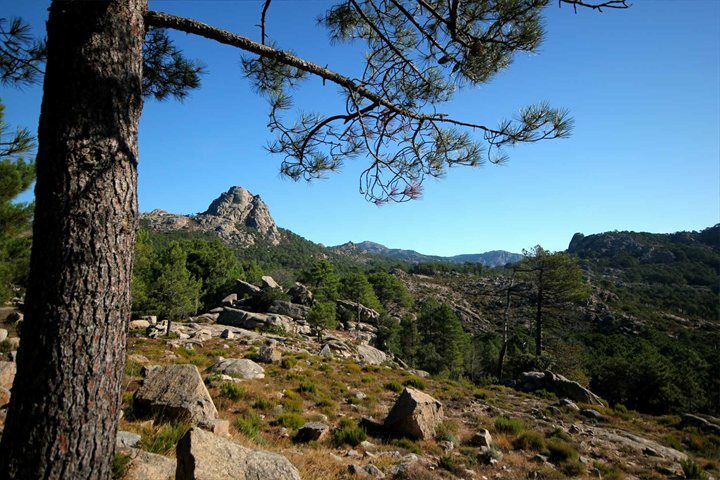 Drive inland more than 1200m up to the spectacular Col de Bavella, one of the most dramatic passes in Corsica with stunning views across extensive forest, ocean and mountains. Also visit the surrounding mountain villages in the area. Try canyoning or take a dip in a rock pool in the rivers of the Bavella massif. There are many walks through the forests to the hidden waterfalls of the Alta Rocca, including Piscia di Gallo, or Cockerall falls. 8. 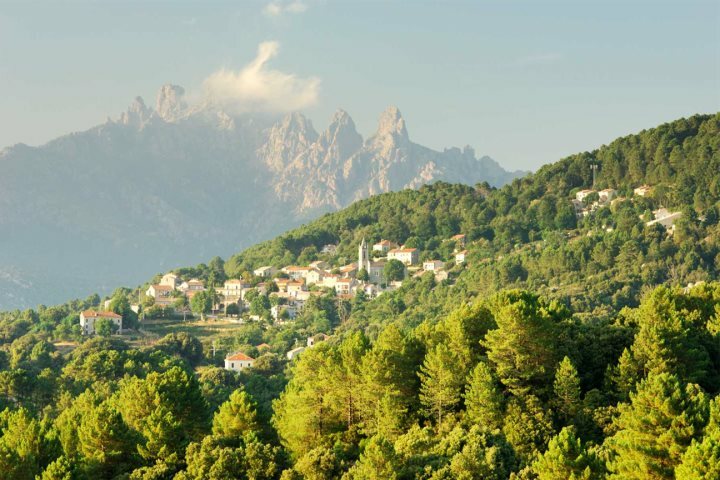 Most people love the sleepy little village of Ste Lucie de Tallano, with its grand old granite houses grouped around a picturesque square - la Place du Monument aux Morts - looking over the valley of the Rizzanese River. From here it's only a short distance to the fabulous rock pools at Zonza. The sides of the river have flat rocks which are excellent for sunbathing, and the rock pools along the length of this stretch of the river provide tranquil and crystal-clear (if sometimes a little chilly) water in which to bathe. 9. Pack up a picnic and head for one of the beaches between Bonifacio and Pianotolli, just before the sunset. The beaches are usually quiet in the evening and the scenery simply marvellous. 10. 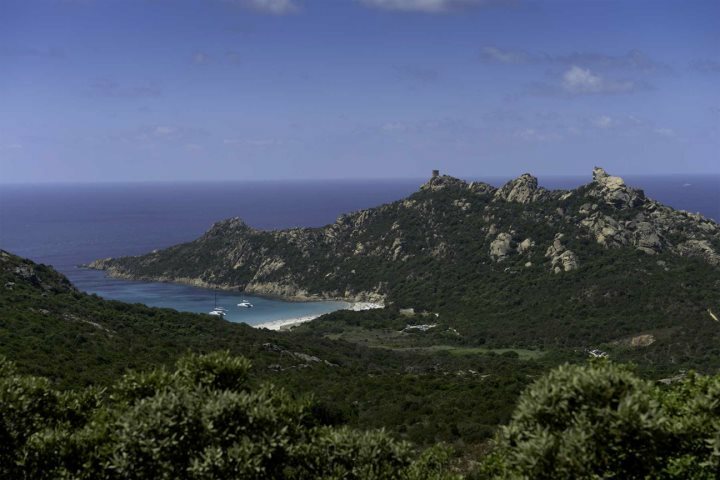 Try the circular coastal walk around Roccapina in the south west (approx. 1h40), which affords breathtaking views across the beaches of Roccapina and Erbaju. Look out for the lion-shaped rock formation 'le lion de Roccapina', which overlooks the dazzling turquoise-blue bays from its perched position. 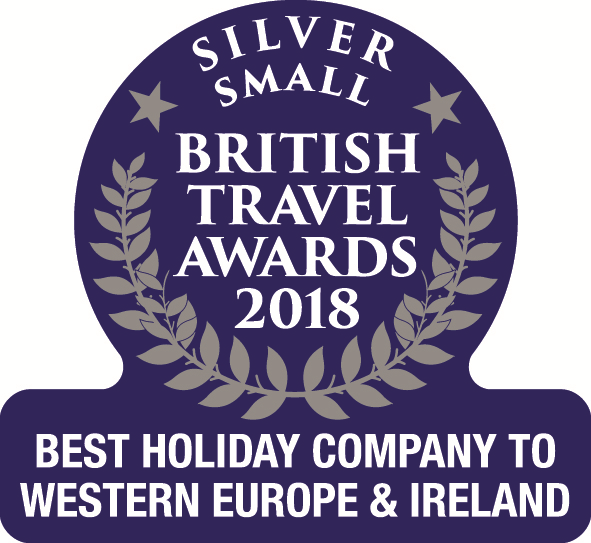 If you'd like to know about a holiday to Corsica's southern L'Extrême Sud region, you can browse our variety of accommodation, or why not give us a call on 01489 866931?